Kiki Smith’s art confronts what it means to be human. Her sculptures are often feminine figures that become personifications of sexuality, trauma, and abjection. 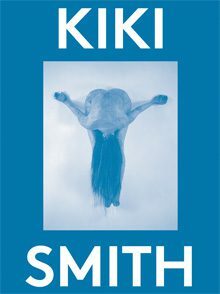 Smith considers the body in her work to be a grotesque portal between public and private life. It is a site of introspection but also internalized violence, which goes on to manifest outward in her ability to create intense organic forms. Part of the 2000 Words series conceived by Massimiliano Gioni and published by DESTE Foundation for Contemporary Art, this monograph contains an essay by Margot Norton that examines Smith’s fascination with the human body and its ability to project emotional vulnerability.